Welcome to AKF Martial Arts! Our Delavan martial arts academy is dedicated to helping your child become a more well-rounded, confident, and disciplined person, while also teaching them vital self defense skills. 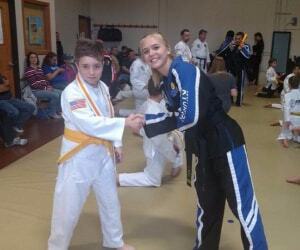 Our martial arts program for kids is built around respect. Respect is the foundation of the martial arts and is not something that is just given to adults. Kids learn to that respect is given to everyone, regardless of age or rank. Children also learn to receive respect. Respect is a two-way street and it makes the martial arts an amazing experience that will impact your child’s life forever. In addition to respect, your child will also improve their confidence. Our Delavan martial arts program teaches them to be prepared for any circumstance so they can be ready to react appropriately. It’s no secret that children that are involved in the martial arts are less susceptible to bullying because they are more confident, prepared, and – as a last resort – able to defend themselves. 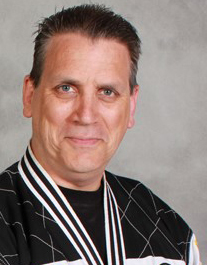 Master Lloyd O. Holden is currently a 7th dan in Kyuki-Do, 4th Dan in Judo and a 2nd Dan in Hapki-do. Master Holden started training in the art of Kyuki-Do when he was 19 years old. 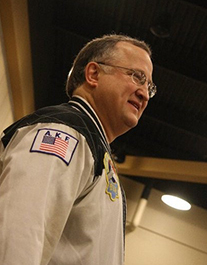 In 1980, he achieved his 1st dan in Kyuki-Do, in 1995 he achieved his 5th Dan Masters Level in Kyuki-Do, and 2010 marks the year he achieved his 7th Dan Head Masters level in Kyuki-Do. Delavan Martial Arts – Fitness and Fun are Guaranteed! Above and beyond the skills that your child will learn in our Delavan martial arts programs, your child will also get regular fitness. The martial arts require incredible strength and endurance so your child will enjoy being active. Our martial arts programs begin for children as young as 3 years old. Our preschool classes are great for helping kids ages 3-6 improve their coordination, increase their confidence, and have a ton of fun. The best part is that you, as parents, get to be involved, as well. You’ll get a front row seat to seeing your kid’s kicking, punching, blocking, confidence, and fitness improve. You’ll also have a front row seat to the big smile they’ll have on their face while they learn and grow through our classes. Proudly serving Delavan WI, Elkhorn, Darien, Whitewater, Lake Geneva, Williams Bay, Inlet, Richmond, Fontana and the surrounding communities. “My child doesn’t get outside enough.” “She doesn’t get any exercise.” “He always says he’s bored.” Do these worries sound familiar? Martial arts is the answer. Kids will have fun, get exercise, and spend some much needed time away from their devices. Children love socializing and learning in a group, while also developing individual skills, and that is exactly what they will get with martial arts. Our classes start for kids as young as 3 years old. We guarantee that they will have fun and get plenty of exercise. It won’t be long before you notice an improvement in focus, drive, and overall respect and discipline. Don’t wait to get started! 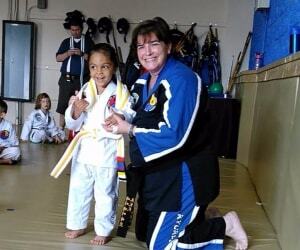 Our web specials remove all the risk from worrying about whether your child will enjoy martial arts. Let’s get them started on a short trial and see what they think. 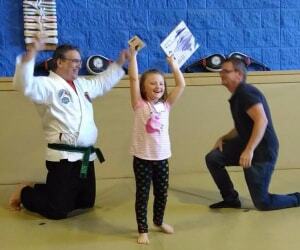 Our Delavan kids martial arts classes do more than teach self defense. Children learn discipline, self-awareness, respect, coordination, goal setting, and much more! Ask about our web specials. © 2019 · A.K.F Martial Arts of Delavan, LLC | Martial Arts Marketing by Conversion Strategies, Inc.